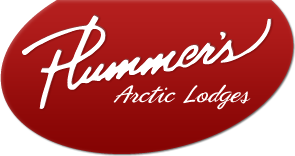 All of Plummer’s beautiful lakes, lodges, and camps are situated in the Northwest Territories. The Northwest Territories is a land of contrasts. It is 1.17 million square kilometres of mountains, forests, and tundra threaded by wild, clean rivers feeding thousands of pristine lakes. Only 40,000 people live amid this rugged natural beauty. Nature is in balance here. You can view rare wildlife species, from white wolves to white whales, and see herds of bison, prowling bears, moose and caribou by the thousands. This is the land where the world’s best northern lights dance during the dark winter months and where the sun never sets during the summer.